In today's challenging employment climate, age discrimination can have a paralyzing and lasting impact on your career. Whether you have been denied employment, terminated or passed over for a promotion due to age discrimination, you need a lawyer who understands the employment process and will fight to help you recover the compensation you deserve for your mistreatment. At the Watts Law Firm, P.C., our attorney has spent more than 25 years assisting clients in Vermont who have been the victim of age discrimination in the workplace. With your financial and career best interests in mind, we work diligently to offer the informative advice you need during your search for compensation or reinstatement following a discrimination claim. To schedule a free initial consultation to discuss your specific age discrimination concerns, contact us online or call (802) 457-1020 today. 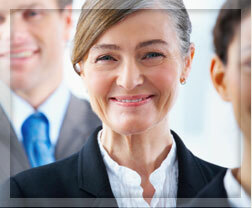 Over the years, we have assisted countless clients who have experienced age discrimination in the workplace. With mistreatment ranging from forced retirement or termination to insufficient or altered retirement programs, our staff has experience addressing various situations affecting workers of all ages. Typically, our clients are individuals who are 40 years old and older who have experienced ageism in the workplace and have been forced out of work in favor of a younger, less costly employee. In these cases, many employers believe they have the right and ability to fire any at will employee. In fact, termination of this type is strictly forbidden by employment law guidelines and constitutes age discrimination in its most basic form. Intentional inflection of emotional distress. Whatever your specific mistreatment may be, our staff works diligently to offer the informative guidance you need to make strong decisions during the process of recovering compensation for your losses or reinstatement to your former position if you so choose. Everyone deserves good legal advice and strong legal representation. That's what we do. Contact us to schedule your free consultation today.